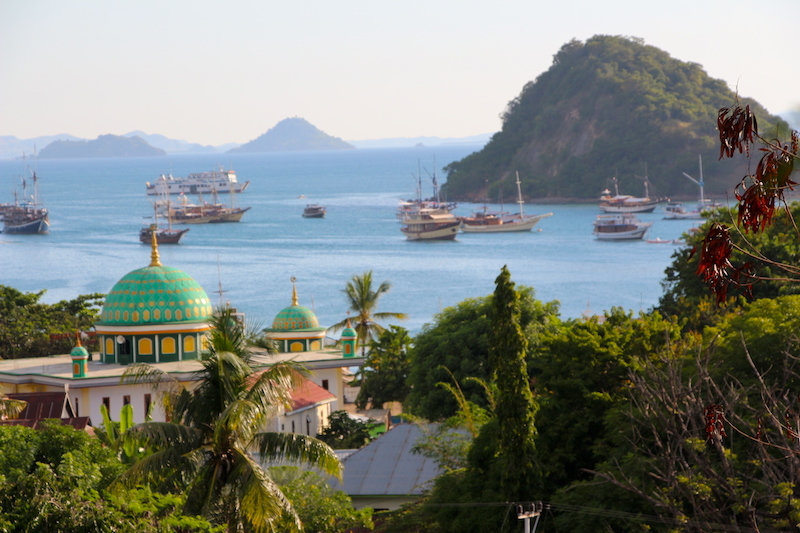 Flores and its satellite islands in Eastern Indonesia are magical places… right out of a fantasy movie. When the first human colonists arrived on the island of Flores thousands of years ago, they had no idea that they were treading on the remains of a lost world. Until around 12,000 years ago, when a volcanic eruption seems to have ended the party, Flores was a looking-glass garden of Komodo dragons and even larger lizards, giant tortoises and enormous rats. Alongside them were tiny primitive elephants, and more remarkably, tiny primitive people… real-life Hobbits! Probably descended from full-sized Homo erectus that made landfall on Flores as much as 900,000 years ago, the islanders dodged the dragons and hunted the pygmy elephants. Killers and quarry became smaller with each generation due to the well-known phenomenon of endemic dwarfing in small, inbred island populations. Over time they were transformed into a new species… Homo erectus became Homo floresiensis. These people, no more than a meter tall as adults, lived on Flores until the time of the huge volcanic eruption 12,000 years ago. They may well have been alive when modern Homo sapiens arrived in the region. As far as we know, Homo floresiensis survived for thousands of years, possibly interbreeding with modern humans, before becoming extinct. 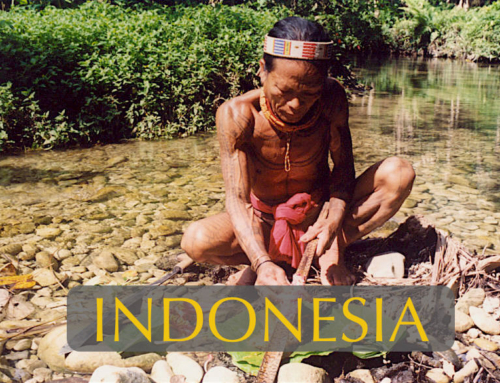 The tribal peoples of western Flores Island today are also a diminutive peoples and their distinct cultures, along with the Komodo dragons found on nearby Rinca and Komodo Islands, offer visitors to this region experiences to be found nowhere else in the world. 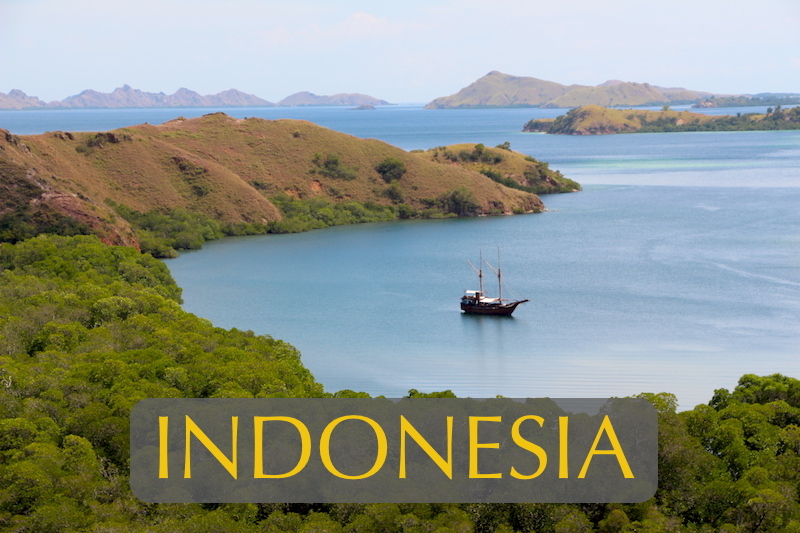 Students on this study adventure will explore remote regions of Flores Island where the ‘Hobbit’ peoples once lived. They will immerse themselves in Ngada and Manggarai culture staying overnight in a mountain top traditional village, watch the sun rise from the summit of a volcanic caldera featuring three different colored lakes and learn about unique methods of rice paddy allotments to family members based on the pattern of a spread human hand. After spending several days immersed in the natural history and culture of the Flores interior, students will head to the coast and board a charter live-aboard boat for several magical days of island hopping, snorkeling over world class reefs, encountering giant manta rays, sea turtles, porpoise and dugongs, and trekking on Komodo and Rinca Islands in search of the world’s largest lizards and living fossils – the legendary Komodo Dragons. Students arriving in Ende in western Flores Island on flights from Denpasar, Bali will be greeted on arrival and transferred by mini vans to Moni Village. Arriving in Moni, we will check in to Eco Lodge and enjoy an organic foods dinner. After dinner the trip leader will give a talk on the geology and natural history of Indonesia in preparation for our upcoming adventures. Students will need to retire early tonight as we have a 4:30 am wake up call the next morning. Students will be lulled to sleep by the sound of a nearby river and crickets singing the night away. Today we set off at in the pre dawn light for the climb to the top of a volcano in Kelimutu National Park. 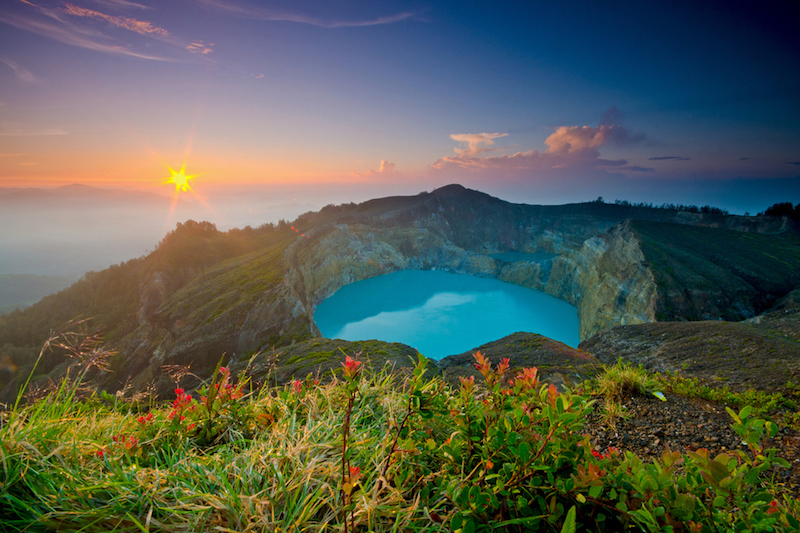 Mount Kelimutu, with its three-colored crater lakes, is not only the most amazing natural phenomenon of Flores, it is also the island’s most mystical, haunted place. Here in this spectacular setting, students can watch the sun rise over a landscape as lovely and mysterious as any on earth. Returning back down the caldera to our lodge for breakfast, we then drive several hours by bus to the beautiful region of Bajawa. Following the Flores coastline a good section of the way, we can stop for a stretch along a beach famous for blue polished stones. Arriving in Bajawa at mid-day we will enjoy a good lunch at a local restaurant then drive 1.5 hours north of town to soothe muscles in a natural hot spring. Mangeruda Soa has natural hot waters that flow into a river in the shade of coconut trees. It is a lovely place for a mid day swim. We can also follow the descending river amid rice fields to a canyon for an even more remote paradise setting. Later in the afternoon we drive to Bena, a traditional community of the Ngada tribe that is famous for its impressive stone formations, ancestral shrines, Nagadanese-stlye houses and very traditional way of life. Different from other tribes in Flores, the Ngada people determine their heirlooms through their maternal line and all children are regarded as members of their mother’s clan. 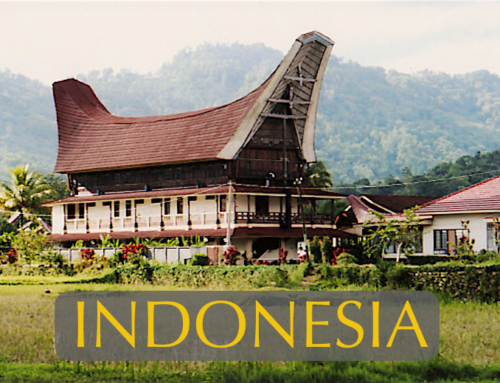 According to their legends the people of Bena descended from the matrilineal Minangkabau tribe of the north Sumatra highlands. Students will gain keen insights into these distinct peoples as they tour the village site with local youths and climb a hilltop for a wider view of the stunning surrounding landscape including Mount Inerie, one of the world’s most perfectly symmetrical volcanic cones. Towards evening we will check into a Villa Silverin with a beautiful view over Bajawa as well as the surrounding mountains. We can enjoy a Western dinner tonight and have a talk on the evolution of Homo erectus & Homo sapiens for our study focus the following day. This morning we will visit the Ngada village of Belaraghi, an extraordinarily warm hearted and welcoming community. Belaraghi has seen few visitors, but for most it is love at first sight. Sixteen iconic traditional houses, arranged on both sides of secluded forest clearing, display wooden motifs of horses, dragons, chickens, transportation, travelling and hunting. Leaving Belaraghi we have a 4-hour drive to Ruteng where we will stop for a good lunch before driving on 40-minutes to Liang Bua cave. 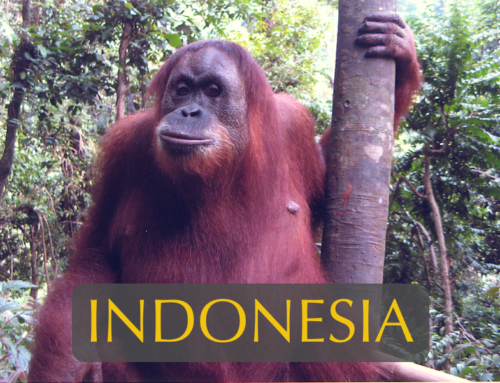 In 2003, an interdisciplinary team of Indonesian and Australian archaeologists, geologists and paleoanthropologists made a spectacular discovery here. They excavated a skeleton of very small stature (the size of a 3-year old child) 106 cm in height, with a brain volume less than a third of a modern person’s. The tiny adult female skeleton resembled fossils dating more than 3 million years ago, but remarkably it was dated to 18,000 years ago when modern humans already existed. With the discovery of Homo floresiensis, long-held theories on the evolutionary past of human beings have been contested. After some time exploring the cave and the small museum describing the significance of the site, we drive 40 minutes back to Ruteng for dinner and then overnight in a monastery managed by warm and welcoming Catholic nuns. Rooms are located in the main building and hot showers will be a welcome treat. This morning we set off right after breakfast to the village of Cancar, 17km west of Ruteng. Here students can see a system of agricultural land distribution unique in the world. 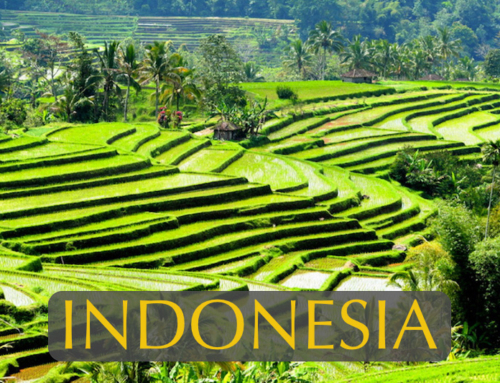 From a central point called the lodok – where animals are sacrificed to mark the beginning of planting and harvest times, these fields called lingko radiate out like the web of a spider with each segment of a field defining the size of a family’s land. In the late afternoon, we set off on a 3-4 hour trek into the mountains for the ultimate Manggarian cultural experience at the remote village of Wae Rebo. 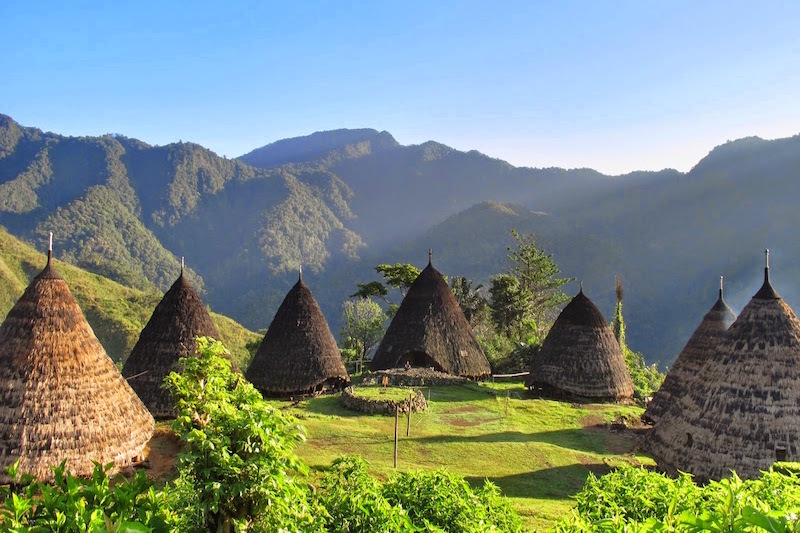 Wae Rebo is a traditional villages set in a stunningly beautiful mountain alcove. Here, students will have the unique opportunity to overnight in an authentic Manggarai house and experience everyday life in a setting of unmatched splendor. This evening we will be treated to seeing a ritual whip fight called Casi that is played out by two male adversaries. Caci equipment, consisting of a whip, a shield, masks and sticks, is rich with symbolism. The aggressor’s whip is made of rattan with a leather-covered handle. It stands symbolically for the male phallus, the father and the sky. The defenders round, leather shield represents the female, the womb and the earth. The male and the female elements are united whenever the whip hits the shield – symbolizing sexual unity that is the essential premise in giving life. Waking up high in the cool, mist-covered mountains, in the cozy shelter of a traditional Manggarai clan house is an experience students will never forget. Right after breakfast this morning, we bid farewell to our Manggari hosts and begin the 3-4hour hike back to the road. We now have a 4-hour drive to Labuan Bajo with a stop along the way for lunch in the largest rice producing area on Flores Island. Driving on to Labuan Bajo, we head straight for the pier to board our charter live aboard vessel for a 1.5-hour cruise to our first anchorage near Rinca Island. Along the way we may have the good fortune to see a large colony of giant fruit bats setting off on their nightly feeding forays at sunset. 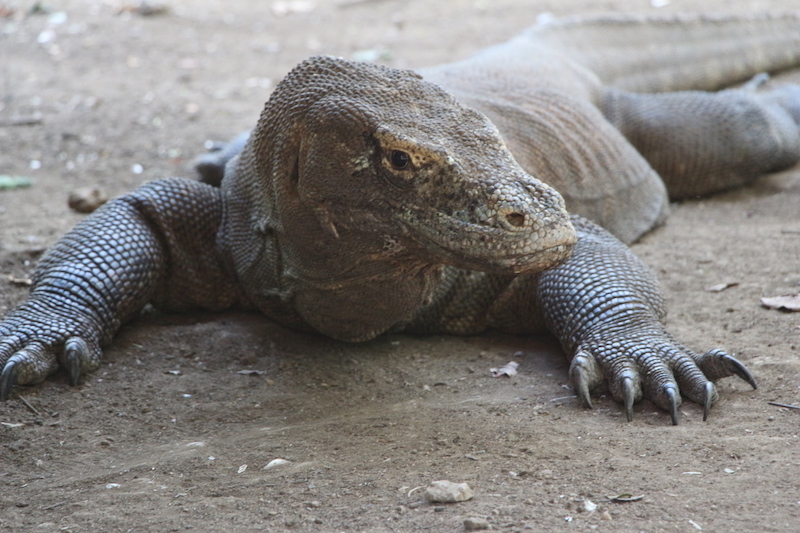 After dinner this evening, in preparation for our Komodo dragon encounters the following day, students will have a talk on the evolution of Varanus komodoensis, a member of the monitor lizard family that supersized itself to 3 meters (9.8 ft.) in length and weigh up to 70 kilograms (150 lbs.). Students can discuss the various factors why species on islands tend towards gigantism or dwarfism. Students may enjoy sleeping out under the canopy of stars from the open-air deck. 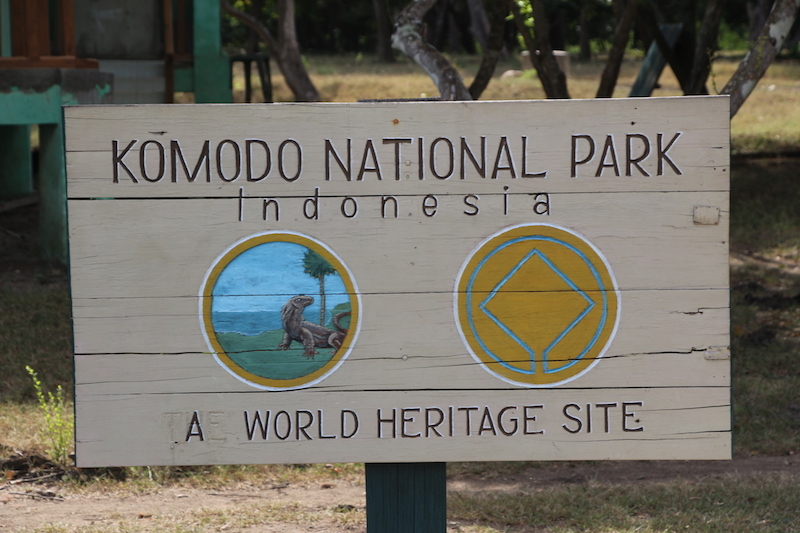 Today’s the day everyone has been waiting for, hiking across Rinca and Komodo, the two islands where Komodo dragons live in the wild. Disembarking at the park pier at 7:00 am, students will have a safety briefing by a park ranger before hiking in search of these living ‘dinosaurs’. Our ranger will be armed with a 2-meter length forked stick to keep the Komodos at bay. With an average acceleration speed of 37 miles per hour, you wouldn’t want to have to out run one. Trekking across Rinca Island in the cool morning hours we will likely see Komodos warming their bodies in the morning sun, wild pigs, maleo birds, white cockatoos and the komodo’s preferred prey – Timor deer and wild buffalos. Well camouflaged and patiently lying motionless along game paths and at watering holes, the giant Komodo lizards use a hunting tactic called ‘lurk and lurch’. As soon as their prey is in range they ambush it, inflict a venomous bite and then wait for days or weeks until their quarry succumbs to death by infection. Returning from our trek, we enjoy breakfast as we cruise a short distance to Rinca Village where we will spend the morning doing a service project at the village school. 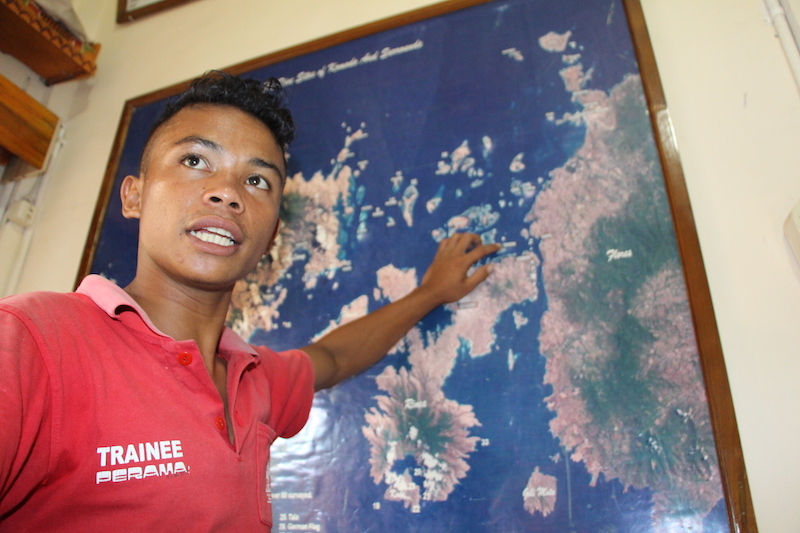 Many children here hope to find adult employment as guides, boatmen and park rangers for the ever increasing number of people that come to Flores Island from all over the world. Helping these children with their English language skills and knowledge of geography and biology can assist them greatly in future employment. When the school closes for lunch, we will board our boat for the short cruise to Kelor Island for a picnic in the shade of a grove of trees set on a peninsula and surrounded by powder-white sands. A grassy knoll in the center of the island offers stunning vistas and the cool clean waters surrounding the little isle offers reefs to snorkel in shallow waters. 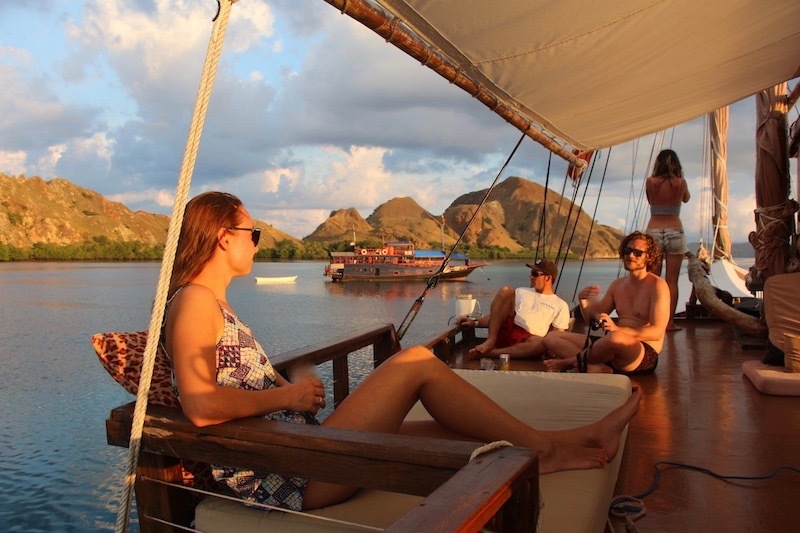 Returning to our boat we cruise on towards Komodo Island and stop for snorkeling and swimming at Komodo’s famous Pink Beach. 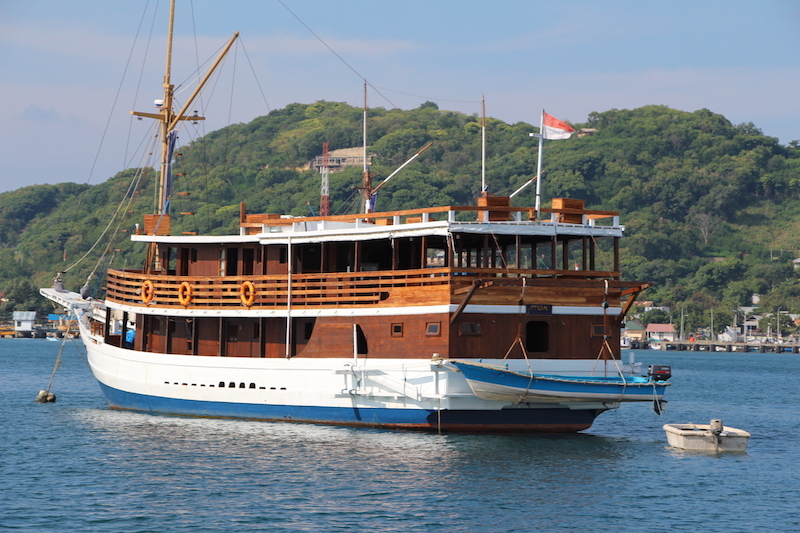 From 2:30 to 4:00 pm we will go ashore on Komodo Island. The 1.5-hour trail through the forest and up to the high savannah grasslands offers superb panoramas of mangrove forests where huge estuarine crocodiles lurk along with Komodo dragons – it’s a real-life Jurassic Park, a land that time forgot. 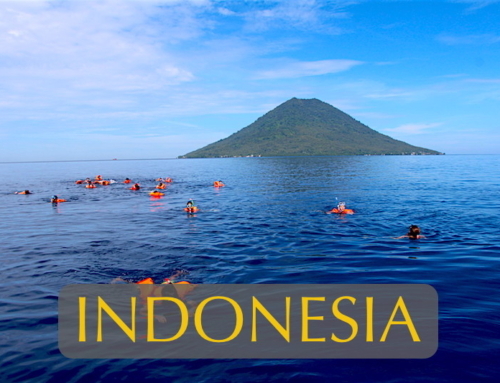 Crossing over to Gili Lawa Laut Island towards evening, students can jump into deep water from the boat and hike to a wonderful viewpoint. 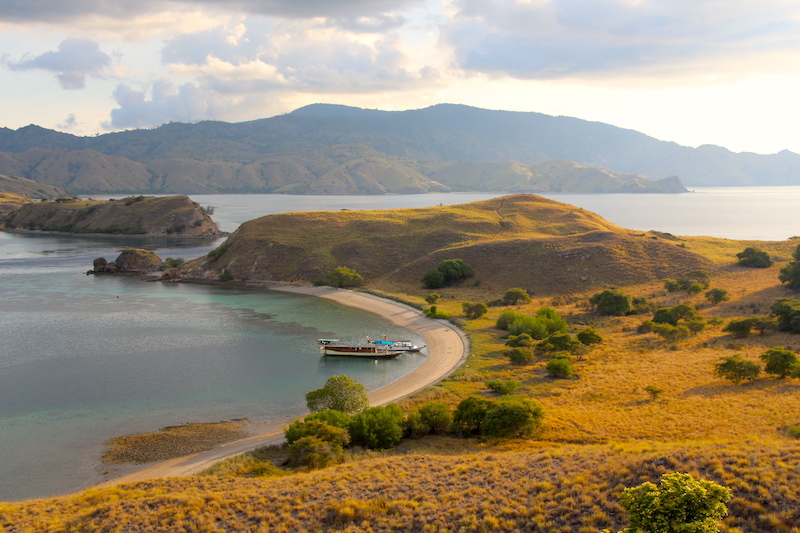 This is a great hike to see the setting sun turn the grassy islands a fiery red and to grasp the scale of neighboring Komodo Island. Students that slept out under the stars rather than cabins aboard the ship will not miss the beautiful sunrise in the bay. Those rising at first light might also delight in sea turtles surfacing for air all around our boat as their heads pop up like periscopes in the placid waters of early morning. The 1,204 square kilometer Komodo National Park and UNESCO World Heritage Site has been declared a sanctuary for endangered sharks and manta rays. Located in the ‘Coral Triangle’, the National Park supports more than 1,000 species of fish, over 260 species of reef building coral and 70 species of sponges and rare marine mammals. Following a talk this morning on coral reef ecology and marine mammals, students will set out in search of the only species that is a strict vegetarian – the dugong. Also known as ‘sea cows’ – these are the marine mammals that gave birth to the myth of mermaids. Quite often, dugongs can be spotted while grazing in sea grass beds bordering nearby bays. Bottlenose porpoise, spinner dolphins and even whales pass through the channel near our anchorage, so we might get lucky sighting these marine mammals as well. After eating a hearty breakfast on board, we cruise to Makassar Reef right off Komodo Island for one of the most exciting dives of the trip. 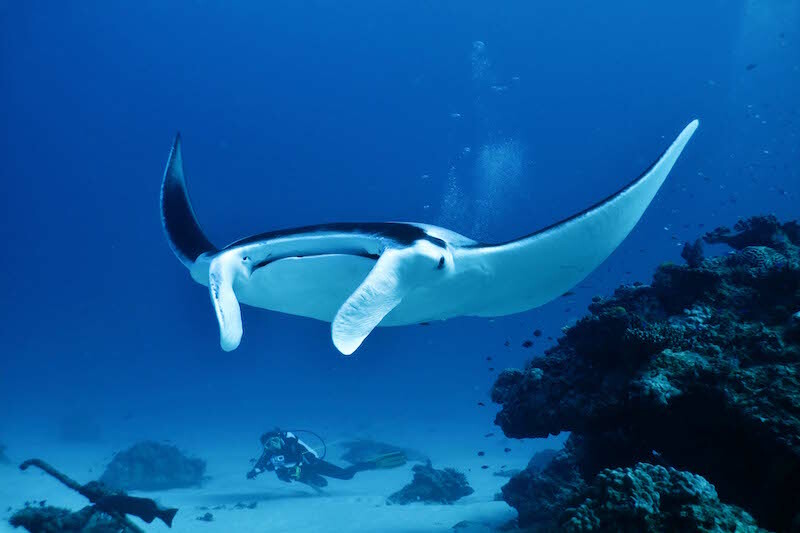 There are cleaning stations along this channel where giant manta rays congregate to let cleaner wrasse and other fish remove parasites from their massive ‘wings’. Even snorkeling it is possible to have very close encounters with these gentle giants ranging in width from 5 to 8 meters. Students with underwater cameras can take part in an important scientific study as manta rays have distinguishing patterns on their undersides. In addition to searching for giant mantas and sea turtles, students will have an opportunity here to snorkel over a superb coral reef with an astonishing diversity of hard and soft corals. .
Bidding farewell to our remarkable days at sea, we return to Labuan Bajo after lunch on board and check in to Bayview Gardens Hotel for a closing dinner and ceremony. Bayview Gardens offers stunning views over the harbor from every room, the open-air restaurant and the hotel’s 25m infinity pool. Views of sailboats tugging at their anchors and velvet green offshore islands remind us of our three-day adventure at sea. In a beautiful candle circle, each student and teacher will have a private moment to reflect back on our remarkable adventures together. After a delicious breakfast this morning overlooking the harbor and distant islands of Komodo National Park, we transfer just a few minutes to the airport for the return flight to Bali.